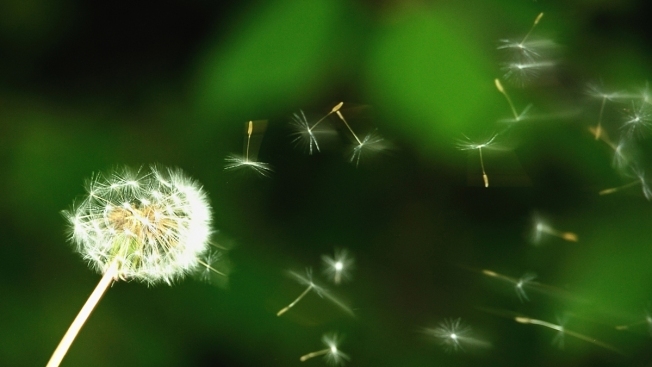 Gusty Santa Ana winds in Southern California have created higher pollen and dust levels, causing a flare-up of allergic reactions. “We currently have a moderate offshore wind, blowing from the deserts, toward the coast,” said NBC 7 Meteorologist Jodi Kodesh. Airborne allergens like pollen, mold, animal dander and dust are among the most common elements that can trigger reactions. When levels are high, even those that don’t typically suffer from allergies may feel the effects. Kodesh said that Santa Ana conditions have also resulted in abnormally high temperatures and critically low humidity levels. Temperatures, in some areas, are running 10 to 20 degrees above average. Humidity percentages have plummeted into the teens. Kodesh recommends keeping windows closed, when in the home, or driving. As clear as the air appears, it is carrying dust, as it travels across the county. She also recommends taking extra measure to stay hydrated, by drinking plenty of water, and using a moisturizer. “Children lose moisture faster than adults, so it is important to make sure they are staying hydrated, as well,” said Kodesh. A little relief is expected this weekend, as the Santa Ana setup weakens. The winds will lessen, and temperature and humidity levels are expected to adjust to more comfortable levels. Local allergist Bruce Prenner agreed that the rapid swing of weather did contribute to recent flare-ups. "The spurt of rain that we've had in November, December and January and those crazy windstorms really upset the pollen," he said. Prenner also recommends keeping windows closed when you're at home, exercising a little later in the morning or in the evening (as the worst time for pollen is between 2 a.m. and 10 a.m.) and to regularly take antihistamines.